Need an MP4 converter for your videos? The MP4 video file format is a part of the MPEG-4 standard. MP4 files can contain video and audio streams, subtitles, and metadata. The format is supported on both Windows- and Mac-based computers as well as the majority of devices – smartphones, tablets, HD TVs, video game consoles, and more. Want to convert video to the MP4 format? Or maybe you need to do the reverse – convert MP4 files to some other format? There are quite a few ways to do that, some of which we’ll discuss below. 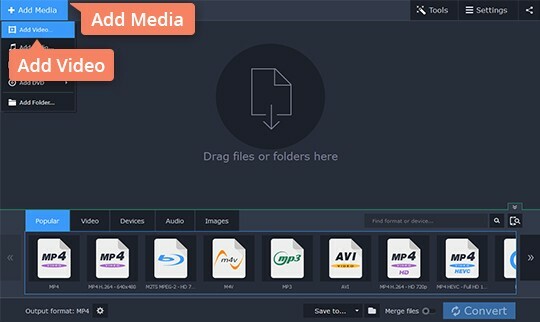 Movavi has a powerful media processing tool that supports over 180 formats, including MP4, AVI, MOV, FLV, WMV, DVD, and many more! 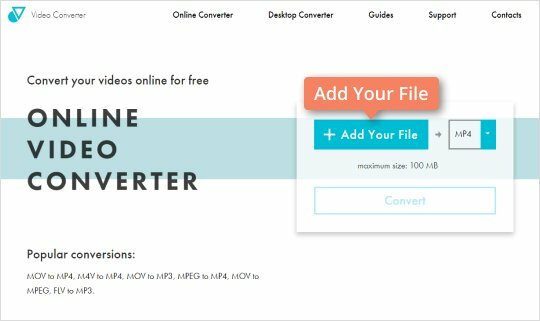 With Movavi Video Converter, you can change the format of your video files in just a couple of clicks. 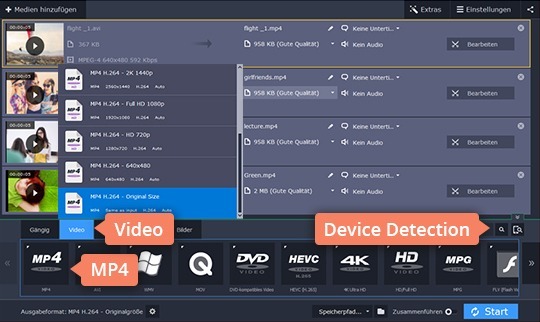 No need for any special knowledge about media formats – just run the software, open a film or video clip, select a ready-made preset, and click Convert. You don’t have to worry about anything, just follow the easy steps below! Download our MP4 video converter. Run the setup file and follow the installation instructions appearing on your screen. Run Movavi Video Converter and click the Add Media button. Select Add Video to import your video to the program. Open the Video tab at the bottom of the window. Here, you’ll find a list of supported formats. Expand the MP4 category and choose one of the MP4 presets that suits your needs best. If you want to convert your video to MP4 for playback on a mobile device, open the Devices tab and select the device manufacturer and model from the list. To let the app determine the appropriate preset, simply connect your device to the computer and click the Cell Phone icon to the right of the search bar. 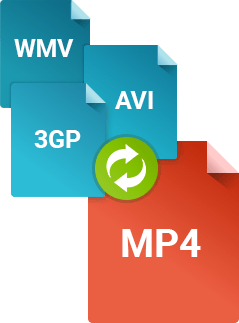 To convert MP4 files to other formats, the process is very similar: just choose your desired format or device from the list of presets. Click the Folder icon and specify the folder in which the converted files should be saved. Finally, click the Convert button. And that's all! The conversion process will start immediately. After your video files are converted, minimize or close the Movavi video decoder and connect your mobile device to the computer. Start the uploader on your device and follow the on-screen instructions or, depending on the device, open the appropriate folder on it and save the converted files there. Note: The uploading time will depend on how large your video files are. That's all there is to it! 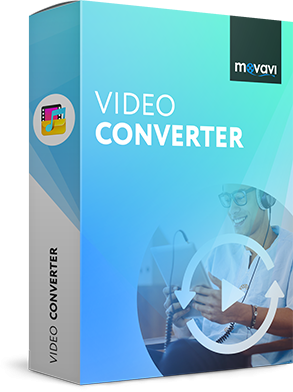 Now you know how to use Movavi Video Converter as an MP4 converter and convert any video to MP4 or convert your MP4 files to any other popular video format. Our converter is also a fast way to extract music from movies by converting the video files to MP3, AAC, FLAC, WMA, or another audio format. You can also convert your movies and music by using a freeware app like VLC Media Player. Download the player from the official website and start the application. Go to the upper left corner, click the Media button, and then select Convert / Save. 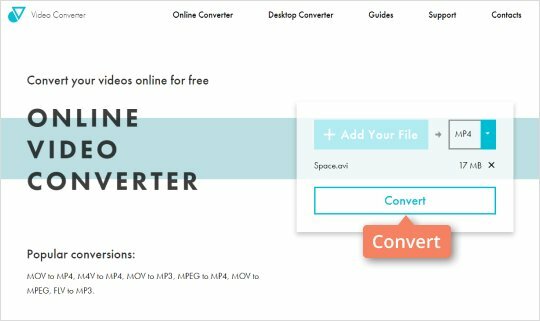 Click Add to upload any file you want to convert to MP4 and hit the Convert / Save below. Choose MP4 as an output format in the next window. Don’t forget to specify the destination folder and file name. Click Start to convert your files. You can also use an online video converter for your MP4 processing. 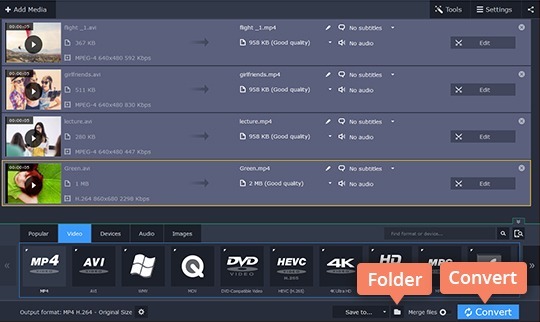 For example, one you can find at https://videoconverter.com – it’s a simple conversion tool that enables you to convert video files in any format to MP4. Open the application website by clicking the link below. Select Add Your Files to upload the video file you want to convert to MP4. Note that there’s a limit on conversions – only one file at a time and no larger than 100 MB. Click Convert. Wait for the service to upload and convert your file to MP4, then click Download to save the processed file.